I'd like to conclude this year with information about the importance of specific conclusions in your business email writing. Your conclusions are your best opportunity to elicit a specific business objective. Yet, we often lapse into standard closings instead of crafting a message that makes it easy for our readers to respond as we wish. Be certain you link your conclusion directly to the intention of your message! "What do I want my reader to know or do?" The answer to this question is your conclusion. Shape your conclusion so that your reader can respond very easily. Take your reader's hand and walk him or her right to your desired action in the conclusion. "I am happy to arrange complimentary digital access for you to review name-of-resource. Please let me know a date and time that best suits you for a ten-minute set up call." - "Please advise." (In addition to being vague, this is grammatically incorrect. "Advise" is a transitive verb. A transitive verb needs an object. Someone must be advised: "The accountant advised me to file receipts now." - "Thank you." Thank you is a wonderful conclusion if the purpose of your email was to convey thanks. Too often, we close emails with a perfunctory thanks when thanks is not actually a related conclusion. - "Have a great day." Instead of adding in pure sentiments, choose a conclusion that drives your reader to your desired business response. A heading is a strong visual technique to make a conclusion pop. "Next Steps" or "Signature Response Needed By Wednesday" emphasize the actions needed. Be certain your conclusion is separated into its own paragraph. Visually, this helps your reader act. "Also, I'll send you the XYZ report on Friday." This muddles a message and weakens the primary conclusion. Send another email if you have another topic. For a persuasive close, include "you" and "your." Readers respond to an engaging close that links them to action. Confirmation: "I will call you in early February to schedule the training." Thanks: "Thank you for the opportunity to work with you." Next Action of Attachment: "I will call you on Tuesday to answer your proposal questions." Process Step: "To enact your new auto policy, please sign the attached form and fax it back to me at (555) 555-5555." Travel Confirmation: "See you in Montreal!" Status Verification: "What is the shipping status?" Every email we write should help a reader know or do something. If not, why are we writing it? 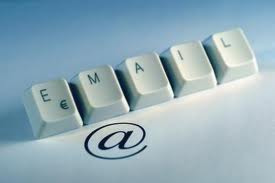 Therefore, conclusions should be directly linked to the business strategy of the email message. It is your single best opportunity to "close the deal" in your email and elicit the business objective you seek. When we audit client business documents before training, nearly 75% of email message we review need a conclusion that is better matched to the strategic goal of the email. There is a lot of opportunity here! Did you walk your reader directly to that objective? Did you make it easy for him or her to respond as you needed? For the next week, review the email conclusions you write. Verify that they are shaped to help you achieve your business goals. Additionally, a targeted and clear email conclusion saves your overloaded reader time. This means your reader will be far more likely to respond, as you wish. Honing your conclusions takes very little time, but it is a wonderful rhetorical strategy to optimize your business impact.